The sun finally broke the horizon at six this morning, but the sky had been growing light since four. 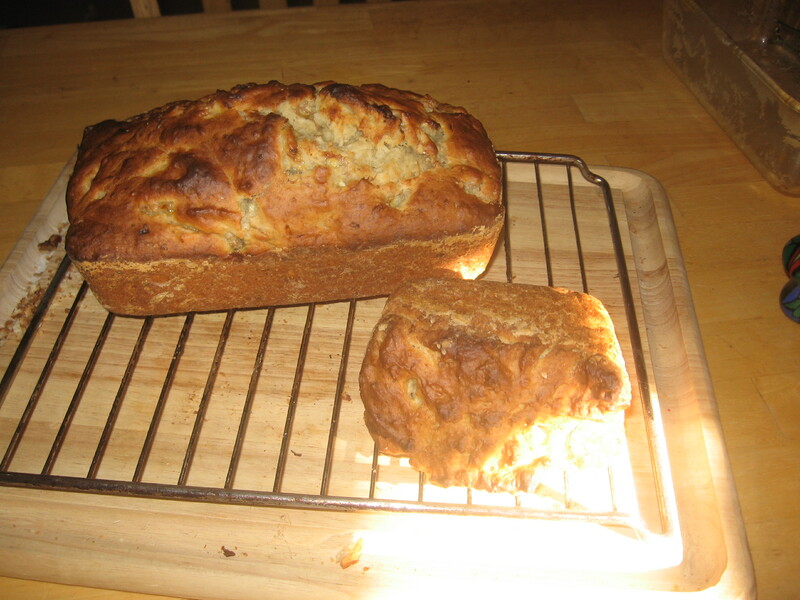 The smell of freshly baked banana bread is wafting through the house yet no one has stirred from their beds. I put on fresh coffee thinking that would certainly bring at least one nose a running, but nothing, not a sound. So I wait alone in these last few minutes, before the mood and the moment change; before the house fills with the sound family and friends and the day winds itself up. I pulled back the curtains and let the golden light of daybreak fill my living room. The cats have taken advantage of every shaft of sunlight, grooming and stretching, then curling up for a nap. I’m not far from sleep myself. I love the dawn and early morning but I am not a morning person; I was born nocturnal. Staying up to watch the day begin gives me the best of both worlds, so to speak, without having to drag myself out of bed to appreciate it. …one more slice of bread and then I’ll sleep. Good day & Good night!